Are more people moving to Facebook? It seems as though the activity level of REAL (and forums in general) seem to be slowing down as social media and like pages seem to be taking over. I did start a page on Facebook a couple years ago, but never kept up with it, as I had this forum and the store and my job that kept me super busy. Yesterday, I did send an invitation to everyone who was friends with me on facebook to like the page, and I did add the store to the page. This week, i will be adding things and promoting some of the books and classes. I think this will be the best way to communicate to each other and stay in touch. We can do fun contests, and easily know what sales and promos are going on. We will still keep the forum going on for the contests and classes and cozy lounge and sale section, but for the most UTD info the facebook page seems to be the most active. I know, I'm on Facebook almost contactl throughout the day, so it just makes sense, to link the REAL page there and stay in contact there as well. Let me know if you guys have any suggestions on how to make it more user friendly. 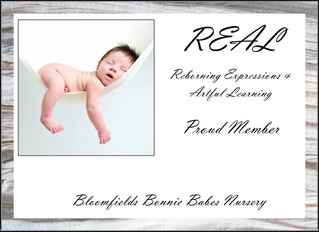 i would have changed the name to just REAL Reborn, but it won't me change the name, as I've had the nursery name also attached to it for a couple years now. (Bummer) That was the one thing that I wanted to do, and it won't let me. Once we hit 500 likes, I am going to give away a prize. Just yesterday, we got over 125, so that's pretty cool!!!!! I think anyone can post on the page, too. If not, let me know, and I'll change that. I agree with Rachel!! *waves hello to Rachel* Nice to see you - I just love your avatar!! 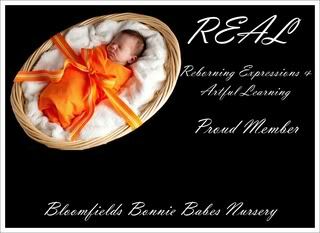 I did go and like the REAL Reborning page on FB though!!! I prefer a forum format also! I have liked the page as well, but I really don't spend much time on FB. I don't do FB...so that leaves me out of the loop ALOT these days.. I prefer this forum I do spend a lot of time on fb though as well. I don't want anything to happen to the forum though, so I say keep it. Oh, it's not going anywhere!!!!! No worries!!!!!! I have FB but very rarely post anything LOL! I prefer forums too. I have a facebook but Im not there really often. Its not really my thing. Must just be me! haha...I'm on facebook constantly! I think the app on my phone makes it easier to "check in" when I'm on the run and not at home. Maybe we need a REAL app!!! If that were possible, it would be wonderful! Most of the negative comments that I hear about the REAL format is difficulty navigating. I check in and look for "posts since my last visit" and sometimes there are no posts but when I go to the "home" page and check the dates of posts made, there are always some that I never read.Posts get lost and no one has responded and people just think that no one cares? After a bit, they just quit posting! Most everyone that has replied to this thread said they are not leaving Emily! No worries!! Lara also found out that the forum format somewhere had a check where it said to delete a post after a certain time/views/non-views. I think she fixed it! I personally love forum format. It's helpful when people are positive and support one another and help out when we can. I think (in my humble opinion). Nope! It's not going anywhere...I was just curious if a lot of people liked connecting on Facebook. I know a lot of the email groups that I belonged to have started groups on facebook instead, as people didn't like the email groups anymore. So, I have a facebook group now, where I will post sales and specials and different things going on, so you can check on there for any updates, if it's easier for you, instead of going through all the new threads on the forum. I'm also thinking about getting an app for REAL for those that like to check the forum from their phones when they are out and about. If you do check the forum from your phone, make sure you scroll to the bottom and check off classic version, so you will get the same look you have on your computer. Subject: Re: Are more people moving to Facebook?